areas (E.G. famine, canal, mayor). People of the Algonquin First Nation have been in the Ottawa, Canada area since time immemorial. The former City of Hull, Quebec was first settled in the year 1800 by Philemon Wright who came from Woburn, Massachussets. The Town of Bytown became the City of Ottawa on January 1, 1855. The City of Ottawa, Ontario became the capital of Canada on July 1, 1867. Today, the Ottawa / Gatineau region is the fourth largest urban area in Canada. Where is Bytown / Ottawa / Gatineau ? they must be finished before any final judgment can be pronounced; but I do feel very certain that the final judgment will be greatly in their favour. Source: Donald Smallery and Bradford Allen Booth, eds., Trollope, North America, New York, Knopf, 1951, page 72. The name "Ottawa" is a misnomer. It refers to the Ottawa Indian Nation whose home was in the northern Lake Huron area and Manitoulin Island. Algonquin Nation has been located in the Ottawa area, from at least 1,000 B.C. to the present time. Ontario and Western Quebec (see maps) to which area thousands of immigrants came in the 1800's. Gatineau Valley. Many left to pioneer in other parts of North America. Justice Livius Sherwood. The government purchase of land at Parliament Hill is also shown. Irish, Scottish, French, Jewish, German, Polish, Italian, Vietnamese, Ukranian, Chinese and American origin. If you are researching your UEL ancestors in the Ottawa area, try a search on our web site for "UEL", no quotes. Here is a reference to the Sir Guy Carleton Branch of the United Empire Loyalists' Association of Canada. The City of Ottawa main Immigration Web page . Ici, on parle français et récherche aussi les histoires des familles françaises. 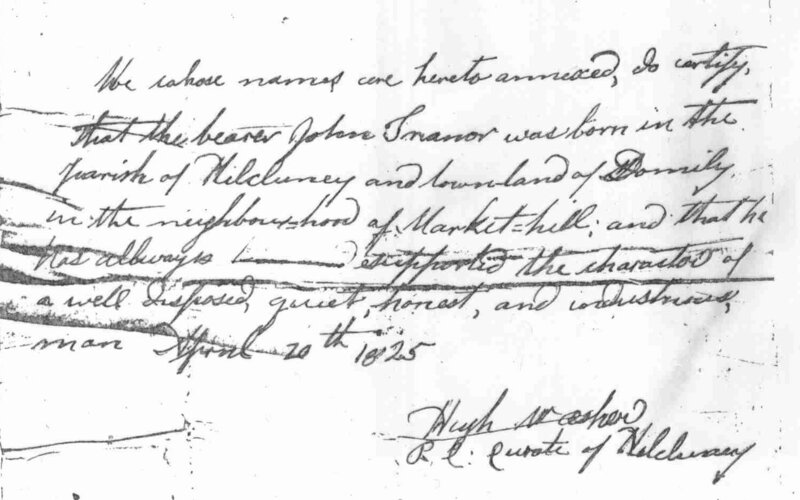 The Ordnance Department kept a list of property holders in Bytown in 1835. These are some of our earliest settlers. professionals and intellectuals who met for discussions and lectures regarding a wide range of ideas. The year 2012 is the 160'th anniversary of the L'Institut. The family of Antoine MORIN and Domithilde Blais came from Quebec to the City of Ottawa. white settler (Philemon Wright) came to the north side of the Ottawa River from Woburn, Massachussetts, in the year 1800. The first black man to arrive in Hull was London Oxford who came with the Philemon Wright group in 1800.
baptized their child, Frances, in Bytown in 1844 at Notre Dame Cathedral on Sussex Drive. If your ancestors were black, you can record their history (including old photos) on our Black History web page. been a city and region built by immigrants. the 1881 census. Immigrants from Germany began arriving in the nation's capital area about the time of Confederation. Simultaneously, a lot of German pioneers settled in Renfrew County. 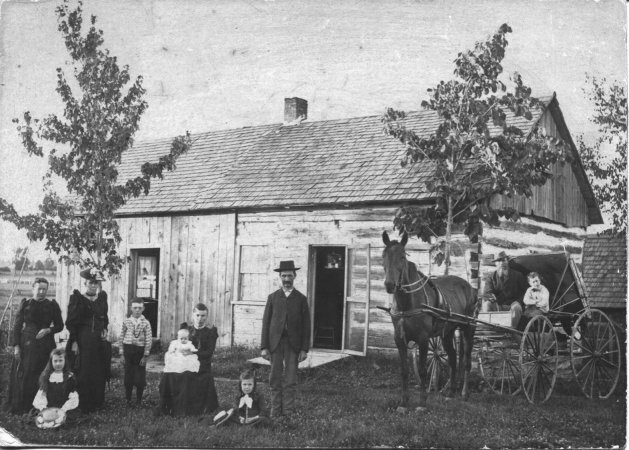 The Romhild family settled in both Renfrew and Ottawa. Italian families began arriving in Ottawa in the 1880's. and Elizabeth Dupuis were in Bytown by 1829. This family settled in what is now Orleans. To add your genealogy or local history research interests to this Web Site, e-mail Al Lewis. in any form without the permission of the contributor of the data. and a Historiography of Immigrant History. 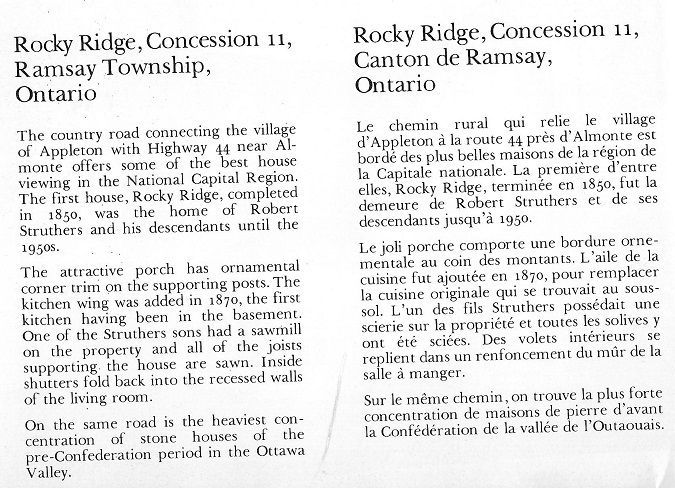 Irish and French Relations in Ottawa's Lower Town, c. 1920-1980.
under the working title 'ANCESTRAL HOMES'. to the significant Irish Contribution to Canada. to John - it could help him secure employment or a land grant in Canada. the 117 year old heritage building formerly known as St. Brigid's Church in Lowertown. Austin Comerton produces and hosts The Gaelic Hour on CHIN 97.9 FM, Ottawa. and preservation through community theatre. Some local, potential heritage buildings are threatened with demolition due to ever-expanding residential development. Two good local organizations for historical and genealogical research are OBOGS and BIFHSGO. The aggregation of the histories of the individual pioneer families forms a substantial part of the history of the Ottawa area after 1800. Thanks to the many contributors to this site! (history of the Canadian family), Michel Hogue (Canadian Indigenous history) and Marilyn Barber (post-1875 Canadian Immigration). The Carleton University Second Shannon Lecture for 2014 takes place on November 14, 2014 at Carleton University. This is an evolving web site which will be updated on a more or less daily basis. railroad history, etc. here's a chance to "get published" and discuss your interests using this web site as a forum. If you are interested in local archaeology, see our Archaeology in Eastern Ontario and Western Quebec web page. McCord Museum in Montreal and were designed by Mr. J. H. Walker. Planning on visiting Ottawa on business or as a tourist? Watch this short video. and Ontario sides. The Algonquin word for the River is Kitchi Sibi (Kitchissippi). the River Desert area of Maniwaki. First Nation Band located in Maniwaki, Quebec. the townships of Onslow, Eardley, Hull, Templeton, Buckingham and Lochaber on the Quebec side of the Ottawa River. This summer (2010), I'll be exploring some of the historic canoe routes in the Ottawa and Gatineau Valleys. Mary Cox has written a chronological history of Bytown and early Ottawa. has a terrific program for its students. a Utopian agricultural settlement on the north side of the Grand (later called the Ottawa) River. the first steamboat on the Grand River. of the pioneer families in our area. There is also a list of the men who served in the 1813 Militia of Hull. and Jane (Edey) Chamberlain came from Vermont to Hull Township in 1805. Gideon Olmstead and his wife Esther Andrews arrived in Marlborough Township in 1802. Marlene is researching this family as well as the Scott and Foster surnames. the Rideau Canal between Ottawa and Kingston, Ontario. The Colonel By page contains a good map of early Bytown / Ottawa. Another Royal Engineer was John Burrows, 1789-1848, who was the superintendent for the work on the Canal. County Down and County Antrim at the time of their 1830's emigration to the Gatineau Valley. We are also compiling a list of early Roman Catholic churches in the Gatineau Valley and in Pontiac County. 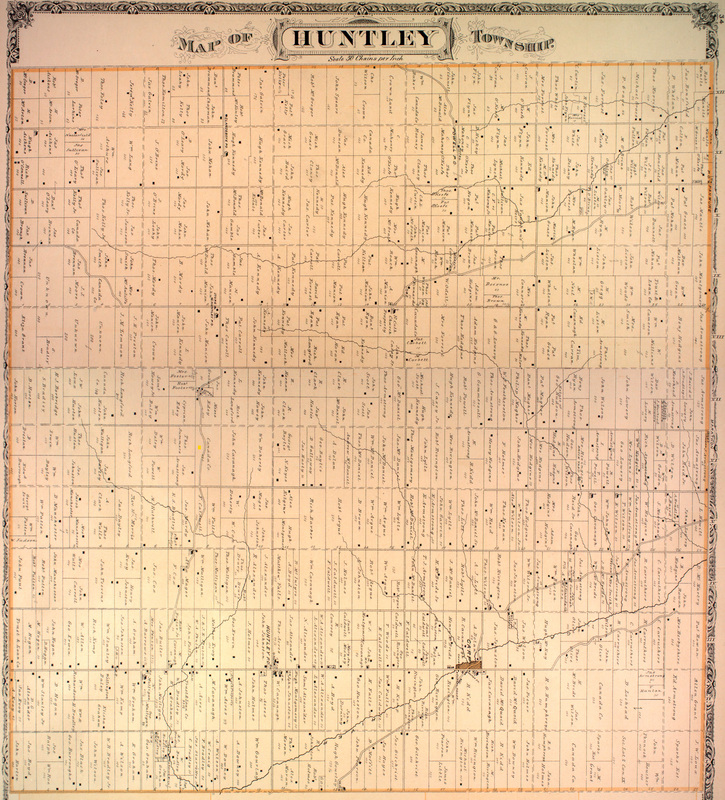 And here is a new page (March 1, 2012) exploring historical and genealogical connections between the Ottawa area and the Eastern Townships in Quebec. The Anglo-Celtic Connections web site has a link to Ontario Roman Catholic Parish Records. Aylmer, Quebec, became an early trans-shipment point for goods and people who were heading west via the Ottawa River. on the banks of the Ottawa River in 1811. Moses and Noah Holt also came from the United States. Bridge area and Junction Gore. Bradish Billings, in 1813, was the first settler at Billings Bridge. became the hub of Ottawa's growing industrial development in the nineteenth century. Also, c. 1815, the Reverend Asa Meech (Meech Lake) settled just north of Wrightville. Chartier and Lebel ancestors who came from St. Roch de L'Achigan to Aylmer, Quebec. including Ottawa. And some of their elderly neighbours on the Lower Canada (Quebec) side. Incidentally, the city of Ottawa, for most of it's history was part of Carleton County. Landing (on the Upper Canada side of the Ottawa River). The same year, four Chamberlin brothers came to work for Philemon Wright. 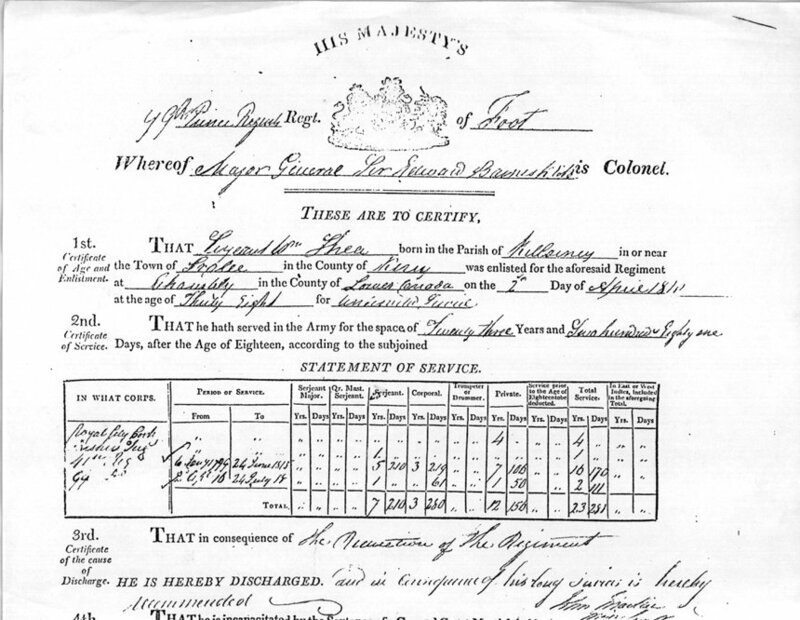 And, in 1822, Robert Mosgrove came from County Leitrim in Ireland and settled in Bytown. area who did work for Mr. Pinhey. Another early settler in March Township was Benjamin Street. and his family were involved as lumber merchants in the White Lake area, hoteliers in Bell's Corners and merchants on Sparks Street. The Lyon family (Lyon Street) were early settlers in Bytown. See Taylor's .pdf file at http://www.bytown.net/lyonandsparks.pdf. In 1828, William Hunton and his two sons, Thomas and William Hunton arrived in Bytown. They came from Leeds in England. 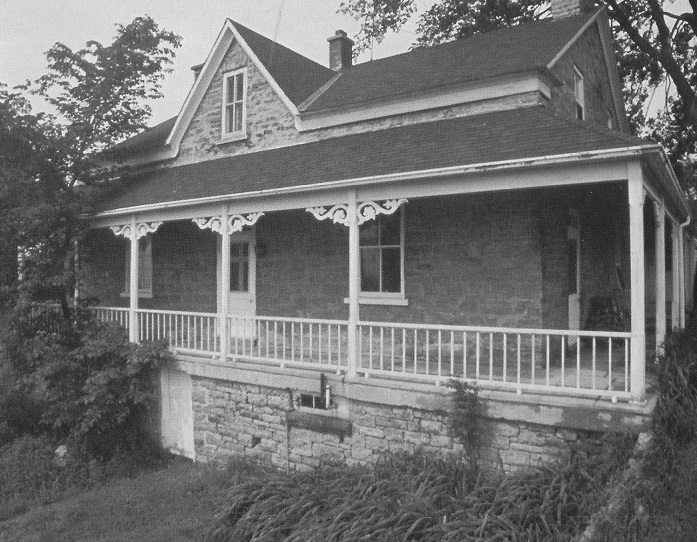 Their home was located on Metcalfe Street where the Main Branch of the Ottawa Public Library is today. Glengarry County (east of Ottawa) and Lanark County (to the west of Ottawa). about 1830 came from the seigniories in the Montreal, Quebec, area. a Township near the eastern Ontario / Quebec border. French, Irish, and Scots had been also been involved in the fur trade in Canada in the 1700's. Thunder Bay, Ontario area also contains some material on the fur trade. for a large arch to be constructed to commemorate his stayover in Ottawa. and children emigrated shortly after to Nepean Township. Timothy was pardoned in 1853. His legal pardon is an example of this type of 19th century legal document. 1849 for a list of surveys which had been done, and by whom, during the past five years. and the topography this area of early Gloucester. Hélène Wyskup is researching the Francophone construction workers on the Rideau Canal. were married in Bytown and later went to the Eganville area. in King's County, Ireland and she died March 26, 1887.
of City Council in 1855. His residence was 201 Clarence St.
Michael McDermott was a land surveyor in Bytown and area between 1842 and 1849.
about his years in Bytown. activities in the town. In 1839 and 1842, licences were issued to these individuals. from Scotland were brought to Ramsay Township. John Brown, from the Inner Hebrides was a bagpiper of renown in the Ottawa area. includes the Town of Perth, Ontario, as well Ferguson's Falls, Balderson and Innisville. families, led by Highland patriarchs. number of settlers in Glengarry County, nicknames were created for most individuals. Alexa Pritchard has sent us a list of a great many nicknames used in Glengarry Township. tractors began to replace horses -- the early tractors were powered by steam engines. Visit Keith Thompson's web site of history and genealogy in Lanark County. the amalgamation of surrounding townships on January 1, 2000.
create townships and 200 acre farm lots to receive the pioneer families. Gaelynn Wall has sent in the links to some early land grants. Records of land registrations are useful documents for local historical research. in Gloucester Township. Here is the entry for Lot 24, Concession I, Gloucester. Christ Church Anglican was established in 1833 on property donated by Nicholas Sparks. churches and their Ministers/Priests in Ottawa in 1867 - the year of Canadian Confederation. 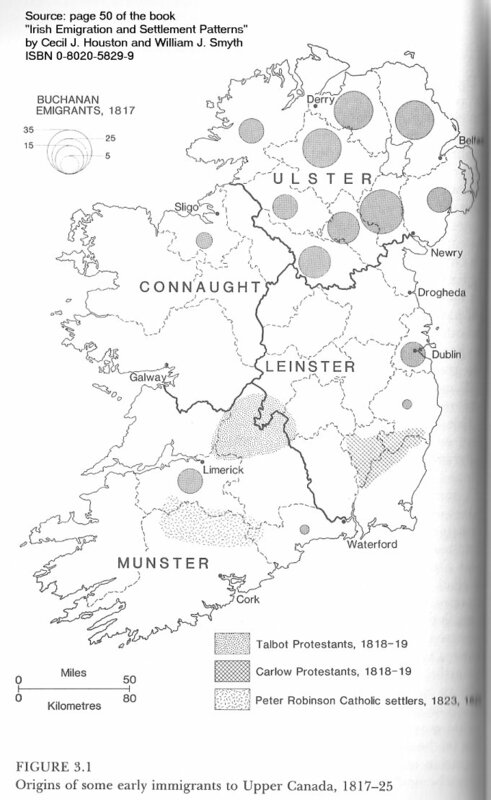 and 1871 Census show that the Protestant Irish outnumbered the Catholics by two to one. St. Lawrence River Basin between 1825 and 1867. By 1829, there was a strong representation of persons who emigrated from the Castlecomer area of County Kilkenny, Ireland. interested emigration from County Derry, Ireland. documents the assisted emigration of about 1,000 families from Wicklow to Canada. Anne has extended her research to cover Fiztwilliam Estate assisted emigration to Southern Ontario. an article published, (November 2009), by the Genealogical Society of Ireland. Mr. Kenny's research is in the area of Kilcavan, County Wicklow, in the nineteenth century. emigration to eastern Ontario between 1847 and 1856. Anne Burgess has sent in some links and sources from Borris, County Carlow, 1782-1853. Quite a few pioneer families in the Ottawa area came from here. 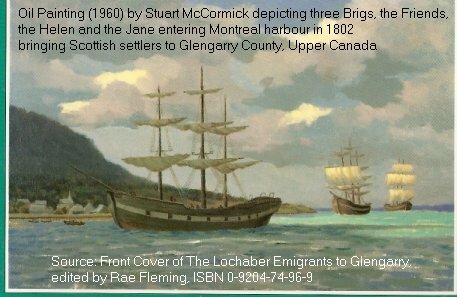 Today, May 5, 2011, I've started a web page for pioneer families who came to Canada from County Armagh between 1815 and 1855.
many descendants of these pioneers. come to Canada after reading material regarding conditions in Canada. 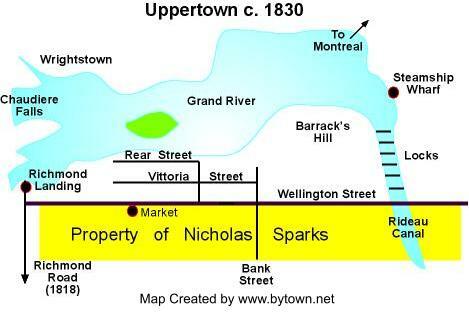 Early framework for land transactions in Upper Canada. Peregrine Maitland, Lieutenant Governor of Upper Canada at York (now Toronto). 1826, crown land was sold. and do historical and genealogical research in Ireland. To get a feel for how this web site works, take a look at the McGee / Magee web page. make things interesting for us! In 1816, a settlement was established at Perth. These pioneers in Perth were a mixture of disbanded soldiers and Scottish emigrants. In 1820 another military settlement was established at the village of Lanark. 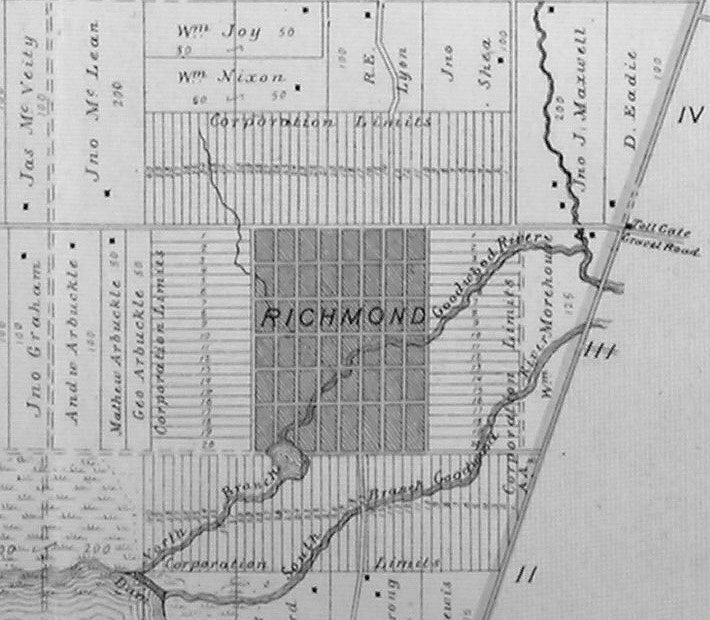 Richmond (1818) was the first town established in Carleton County - earlier than Bytown. 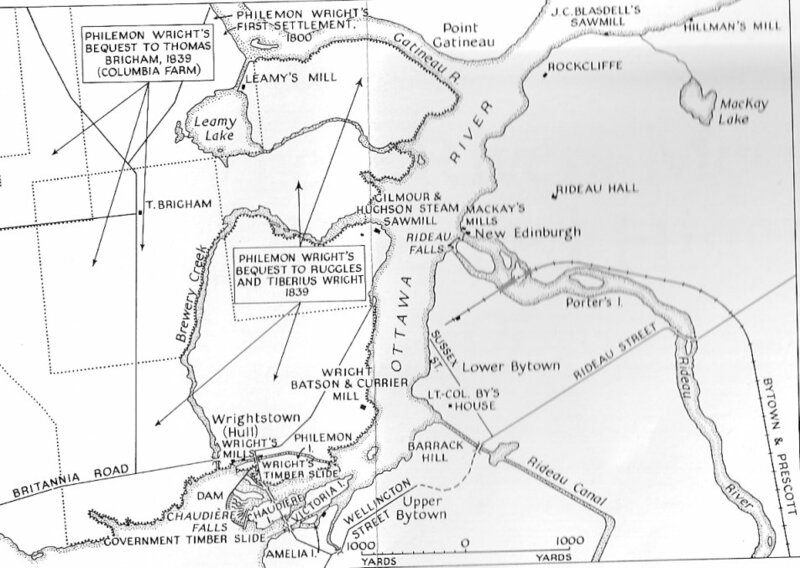 nucleus of the first permanent Ottawa area settlers after Philemon Wright's group. Alexa Pritchard has sent the following discharge documents of Sergeant William Shea. by Paula Gibson. See the John GIBSON web page. Piety Hill, the location of two pioneer churches. in the Carp valley and Carp village in the 1820's. of interest are Graham, Cavanaugh, and Mooney. William Fitzpatrick was one of the original settlers in the Richmond/Goulbourn area. 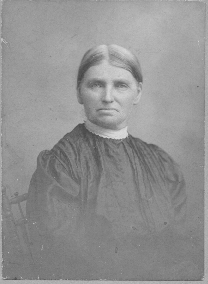 wife Matilda McCullough were also in Goulbourn Township by the 1840's. and the settlers in Rideau Township, including the North Gower area. Townships can be found here. early schools in Huntley Township. a mill at Manotick in 1860. The building, called Watson's Mill, is still open today. he introduced the Separate Schools Act for Ontario. for Births, Marriages and Deaths. Ottawa citizens in 1872 in support of his candidacy in the 1872 federal elections. A link to a brief biography and photograph of John Bower Lewis is also on that page. Speaking of local mayors, Eugene Martineau was Ottawa's first Francophone mayor. Joseph Turgeon was the first Francophone mayor of Bytown. Thomas Birkett (1844-1920) was a prominent merchant and mayor of Ottawa. Our bibliography page contains several books regarding local mayors from 1848 up to the Charlotte Whitton era. Anglican Archbishop John Travers LEWIS and his wife Rebecca Olivia LAWLESS. Cork. There are many thousands of their descendants in the Ottawa area today. the British government was amenable to government assisted emigration. by Houston and Smyth, page 50. Miscellaneous Peter Robinson Settlers ... A few genealogical enquiries. one of the stone homes built in that area. This house was not built by a Robinson settler. Source for the following text block and picture of the house belonging to Robert Struthers is National Capital Heritage, page 20.
the arrival of contractors and labourers. worker who died while working on the canal. men who worked on building the Rideau Canal. Many Irish and French labourers worked at building the Rideau Canal between 1826 and 1832. Cathedral in the By Ward Market of downtown Ottawa. Here are just a few. Sue is transcribing the Notre Dame marriages, beginning in 1829, from the Drouin Collection. Sue has also transcribed many of the baptisms which took place at Notre Dame from 1829-1839. Francophones. St. Patrick's Basilica on Kent Street, started in 1858, became the major English speaking (mostly Irish) Catholic church. See The Welfare of Irish Catholics in Ottawa, 1820- 1900 for a description of the early Irish Catholics in Ottawa and area. working conditions can be found in an article by William Wylie. See also our page on Labour History in the Ottawa area. Richard Bishop was Paymaster for the Rideau Canal. of the workers, such as Daniel Burns from Belfast, moved to the United States. After the war of 1812, there was interest in constructing a canal from Bytown to Lake Huron. This canal would have allowed Canadian people and goods to avoid Lake Ontario and Lake Erie. who came to the Ottawa area from Nova Scotia. Others migrated to our area from New Brunswick and Prince Edward Island. between 1826 and 1855. Many of these families form the basis of the strong francophone community the Ottawa / Gatineau area. English speaking parishioners. Sacre Coeur, across the street, served French speaking parishioners. Here is a new feature from Google -- the ability to search the digital archives of the Ottawa Citizen Newspaper. Thanks to Carmen Rochon who has sent in about 400 obituaries for the Ottawa area, starting in the 1890's. notices were also published. The Canadian News was published in London, England in the mid-19th century. the years 1836 to 1845. Thanks again to Sue who has transcribed the obituaries from the Ottawa Journal from 1886 to 1899.
the years 1828-1849. She has also sent in a link to Northern New York State newspapers in the 1800's. Sue is still at it. She has now transcribed the births, marriages and deaths for the Ottawa Citizen from 1853-1859. Al Craig has sent in a list of Ottawa and Carleton Directories online from 1863-1899.
some workers and their families settled on crown land along the canal. the lock-station and dam is a park today and only the lockmasters house remains. Across the river, on the Nepean side was Chapman's Mills and the Samuel Collins house. to 1871. His son William succeeded him as lockmaster. (1) the Rideau Canal construction ended leaving most of them unemployed. become self-sufficient and also to escape the violence and social disorder in our town. 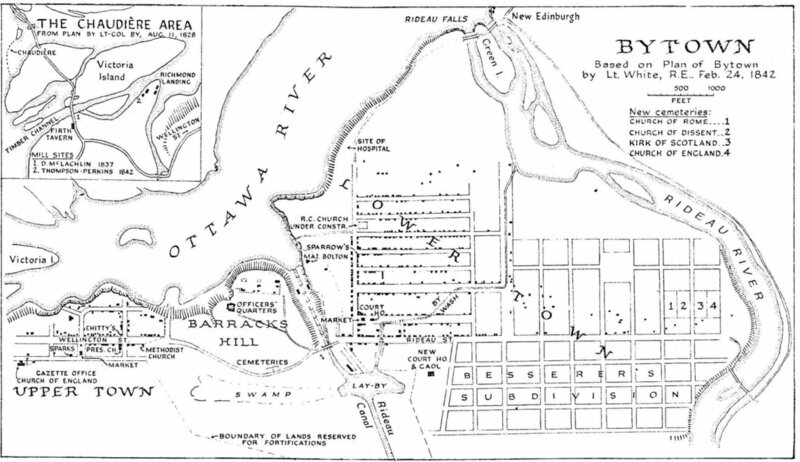 Mary Cox has sent in the following map of Bytown in 1842. "The map is based on a Plan of Bytown by Lieutenant White, R.E. Feb. 24, 1842.
for an early map that showed Isaac Firth’s Tavern – it is also included on the map". Map Source: Looking Back, Pioneers of Bytown and March, by Naomi Slater Heydon. 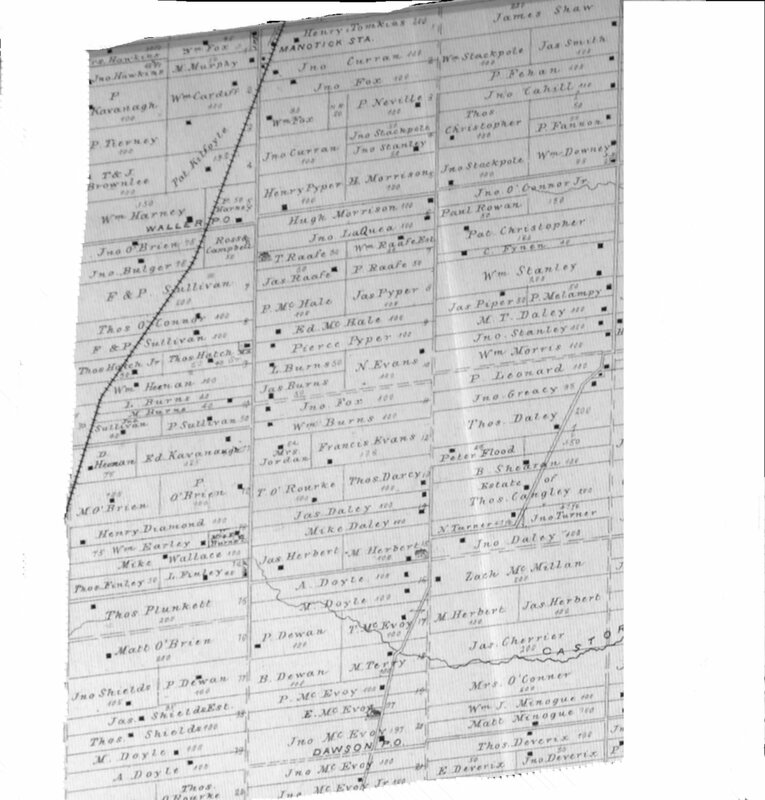 In 1836, a list of eligible voters for Nepean Township was compiled. Captain George W. Baker was in charge of the Bytown Volunteers (militia unit) in 1838. Mr. Charles Chapman, raconteur, from England, died in Ottawa in 1854. Sheila is trying to determine where he is buries. the 1800's and parts of each township identified closely with certain neighbourhoods in Ottawa. with the Catholic-dominated Lowertown area. Cummings Island is in the Rideau River, at Montreal Road. smaller portions of the maps by using the methodology described here. land in 1862. These maps have been digitized by Library and Archives Canada. Mary Cox has sent in a link to the Fire Insurance maps from the 1870's. These maps show urban locations. an area called Junction Gore. lists include only the legible names of persons who are included on gravemarkers. may have been removed from the cemetery for safety reasons. grave markers in the Ottawa area. The site is now run by Murray Pletsch. photographs and transcriptions of St. Paul the Hermit Cemetery in Sheenboro, Quebec. Gatineau area. He has entered them online at his web site. old letters written by the Foran and Quinn families of South Gloucester. the first City Council, as well as some other people of interest influence in Bytown. Henry J. Friel was mayor of both the town of Bytown and the City of Ottawa in the early 1850's. are listed: Younghusband, Armstrong, Wilson, etc. made quilts, often personalized as in the case of the Smyth family in 1841.
without a need to increase the mill rate. This was the beginning of rapid industrialization and urbanization for Canadian cities. attract manufacturing operations to the city, especially at the Chaudiere Falls location. photographic studios in the city were Pittaway, Jarvis and Topley. Later, Yoseph Karsh was a world famous photographer. He died in the year 2002.
have the same photo in their own collections. Passengers Going Westward by Steam Boat to areas such as Kingston, Hamilton, Toronto, Carleton County, Ontario, and Masson, Quebec. These records are held by Library and Archives, Canada. was a well-known artist in the Ottawa area. private charities, including the Union Mission on Waller Street, were established. city had evolved. See a list of major occupations and their incumbents in 1879..
A large influx of civil servants from the provinces occurred at Confederation in 1867. The Public Service is now the major employer in Ottawa and Gatineau. Renegades. We are trying to identify some of the early athletes and sports events. See our Ottawa Sports History web page. by the Algonquin canoe builders were in demand for transportation on the waterways. Streetcars began running in 1891 and the final car was retired in 1959.
in Ottawa off the streets in 1959. Mr. William Washington Wylie owned and operated the Ottawa Carriage Company. the rules of the Marquis of Queensbury. the north west part of Osgoode Township. Sean and Sharalyn Daley have just opened the Daley Family Funeral Home (September, 2006). Senior Citizens in Osgoode Township in 1881. See also the state of Elder Care in 2011 in Ottawa and area. A letter from a mother in Ireland to her son in Carleton County. The Royal Canadian Mounted Police (RCMP), history and genealogy in the Ottawa / Gatineau area. Irish and Canadian Money and Coins. Moses Bilsky was the first member of Ottawa's Jewish community. He arrived in 1857. 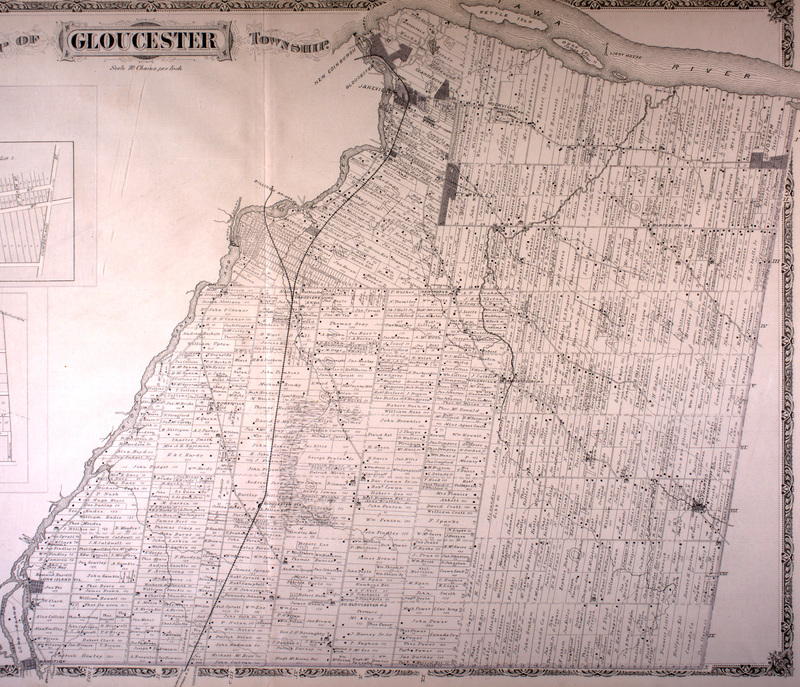 A list of pioneers who were in Gloucester Township before 1834. More early settlers in Gloucester Township. 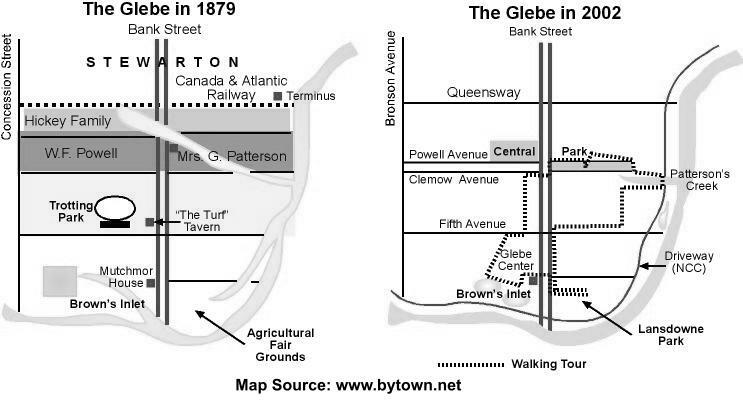 The History of the  Byward Market (Lowertown). The French Line in Lavant (or Darling) Township. The The Railway comes to Nepean, bisecting the Kennedy Farm on Jockvale Road. 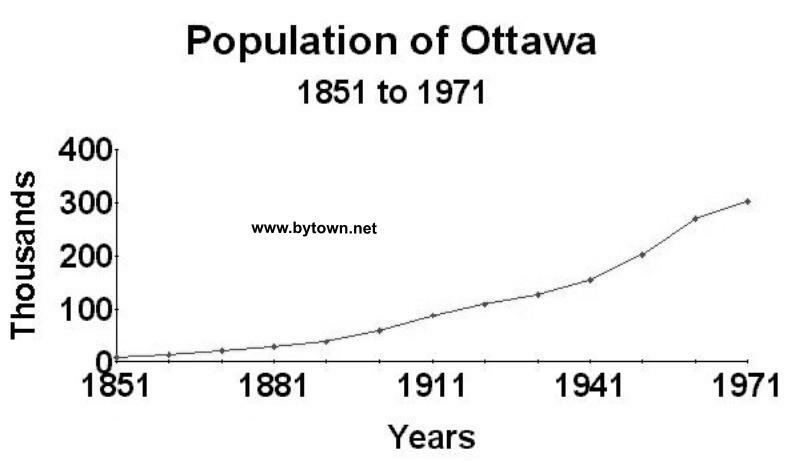 The Great Depression in Ottawa, 1930-1939. Charlotte Whitton was the first female Mayor of a Canadian city. in Osgoode Township, south-east of Manotick, came from many different counties in Ireland. 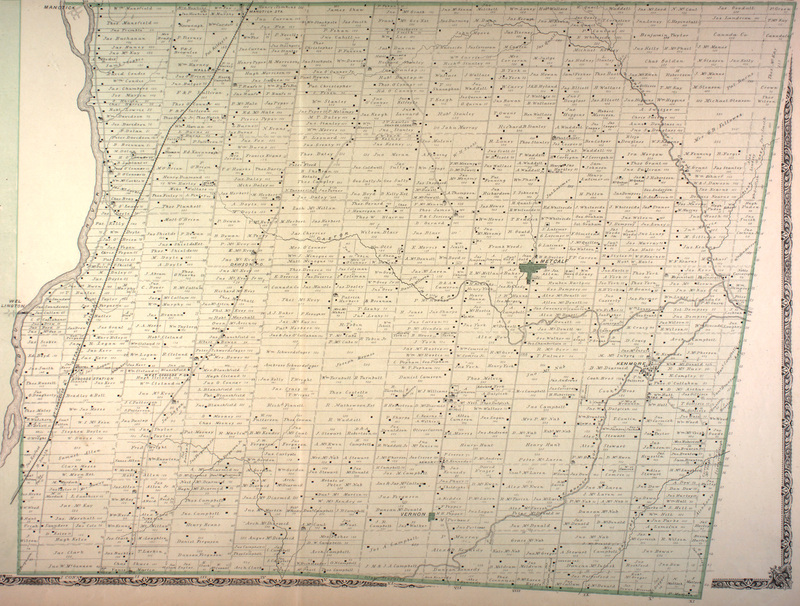 Black Rapids and Long Island, before obtaining land in Osgoode Township. Also, in the early 1800's, people came to the townships just north of the St.
in Brockville in 1829 and was the main character in the Orange Order in Canada. center and later a hub for the railways in Eastern Ontario. It is situated in Montague Township. Mountain Township was named after the Anglican Archbishop Jacob Mountain. agricultural nature of the area to the east of the City of Ottawa. 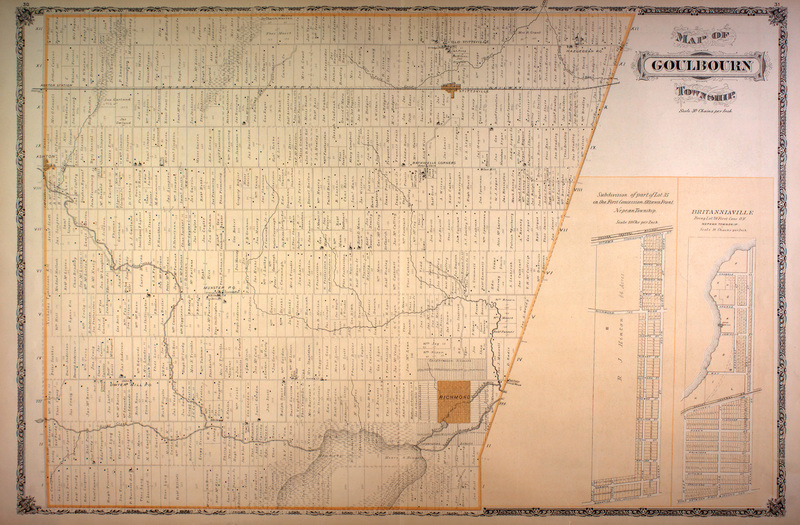 Hastings County, including the city of Belleville on the Bay of Quinte, was settled in the 1780`s. products destined west via the St. Lawrence Seaway. The same can be said for the town of Prescott in Augusta Townhip. The Brock, Ralph and Beggs families also settled in Prescott and Russell County. to each other, and to a great many other families in the Ottawa area. Here's a map showing the area in which I'm most interested. The date of the map is 1879.
was born here in 1880. Source: Belden's 1879 Maps of Carleton County. There are many more names of pioneers, other than those from Osgoode, further down on this page. Ireland, may also be "HURLEY"
O'LEARY - LEARY, Patrick, 1822-1878, from Cork? d/o Patrick DUNN (M.L.) ? See book The Blood Creek Thompsons, went to U.S., bur. 1. Michael DALEY of the Osgoode Township Historical Society has done a lot of work in this area. 2. Our Lady of the Visitation Parish, 140th Anniversary Commemorative Booklet, 1845-1985. 3. Various tombstone inscriptions in Gloucester and Osgoode Townships. (specifically, an article written by Michael DALEY. The Historical Society also has published a series of family histories. Republic of Ireland. The Republic of Ireland is independent. wife=Sophia, both died 1840, both over 100!! Black Rapids, ML# 263 ? Many of the pioneers in the Ottawa region came from County Tipperary or County Cork. And here is a list of all parishes in Cork and Tipperary, along with the first year for which records are available. Here is a map of the Fallowfield/Jockvale/Black Rapids area of Nepean. Fallowfield Road and and also of St. Patrick's Church at Fallowfield. Names of about 80 young adults confirmed in 1852 at St. Patrick's Church, Fallowfield. St. Patrick's, Fallowfield  Baptisms, 1851-1860, compiled by Marilyn Cottrell. Sue has transcribed the marriages performed at St. Patrick's, Fallowfield between 1851 and 1875.
population from the Rideau Canal in the east to Britannia in the west. from Tipperary. 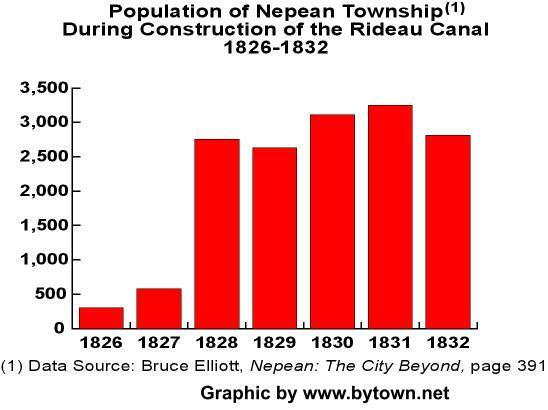 They began settling in Nepean in the 1820's. Park, Lytle Park, Burnett Park and Tierney Park. Frank O'Hara has a web site of pioneers in Torbolton and March Townships. His main surnames are O'HARA, NASH, CASEY, BRENNAN, EDGE, and HAWLEY. Thomas ACRES from Tipperary to Huntley Township. Take a virtual walking tour of the Town of Almonte, formerly called Shipman's Mills. are buried in this cemetery. Trinity Anglican Church and it's pioneer cemetery. Chichester Townships in 1851. Visit the Pontiac County Heritage Web Page. Bonnie Hannifin is researching her ancestors, Alexander Wilson and Mary Thompson, who settled in the Pontiac, before 1841. Phil McGrath has sent in a list of landowners at Calumet Island in the Pontiac in 1867. The John KENNEDY / Julia DOOLAN family were early settlers on Allumette Island. 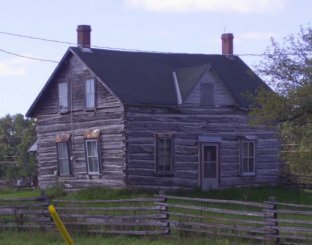 The first Polish settlement (1859) in Canada was established at Wilno. Members of the Ottawa Fire Department who died in the line of duty. after Edmond Morphy who came from County Tipperary and settled there before 1820.
here are some pioneers in South Gower Township (Grenville County) in 1862. The date, where given, is the date of marriage. also spelled "McCARDELL" or "McARDLE"
brother of Peter AYLEN ?? also m. Alice FLYNN ? Patrick RICE, Queen's County, ML# 125 ? A few miscellaneous Irish surnames which are being researched in the Ottawa area. Quyon (St. Bridget's) in the Pontiac) and Mount St. Patrick in Renfrew County. Burns and Annie Robb (b. Scotland). Bellowed and pranced in the round tower. Counties and Districts. A really useful compilation! and gives their county and parish of origin in Ireland. on in this page. The ISBN is 1-55075-048-8 .
northern Illinois, often becoming farmers in canal towns." Some Irish fraternal and benevolent societies. North America in the 1800s was the Perseverance. It was no leisurely cruise on the Elizabeth and Sarah , a coffin ship which came from County Mayo to Quebec in 1846. A description of Children's Burial Sites in County Mayo. North Dakota, Minnesota New York and, Manitoba. to North Dakota. Iowa was also a gateway to subsequent migration to Kansas and Nebraska. In the 1870's, people often went to Montana. There is a re-union of the Costello and many other families who went to Petersville, Iowa. The re-union is being held in Iowa on June 3, 2003.
in 1834 while some of his relatives went to Australia. Torbolton Township for a while then left for Australia and New Zealand. Some other families were enticed to the Maniwaki / Gracefield / Kazabazua area of Quebec. village of Riceville, on the Scotch River is located here. Just to the east of the Plantagenet Townships are the Townships of West Hawkesbury and Caledonia. from County Mayo in Ireland. Lochaber Township, Quebec, is on the north shore of the Ottawa River, east of Masson. 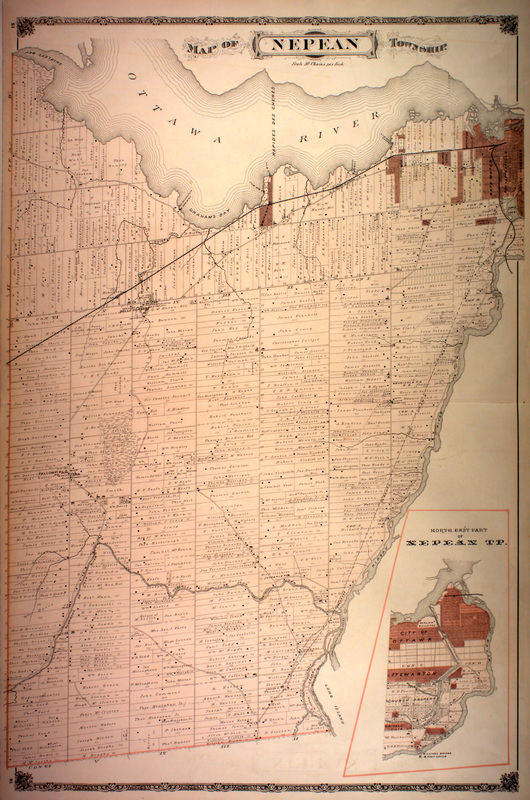 Township in Upper Canada and some of them may have settled on the Quebec side. Cemetery Listing for St. James' Anglican Church in Gracefield. and some from St. Andrew's Presbyterian Cemetery, also in Aylwin, Quebec. James Cleland has transcribed the names from the Northfield Cemetery, south of Bouchette, Quebec. Edie Lacharity Sage has recorded Holy Trinity Anglican Cemetery at Danford, Quebec. My second cousin once removed, David Caron, has a web page on the CHRISTOPHERs. 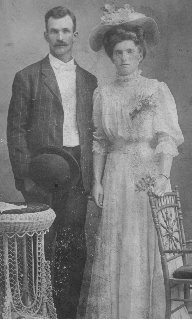 Photo taken in 1908 (My Grandparents). A Burns Family Farm House, about 1930. This was located on the Manotick Station Road in Osgoode Township (painted yellow). see also Surnames on the Meblee site. Cold North Wind's Digitized Newspapers ... Perth Courier from 1834, etc. To see the world-wide distribution of hits on this web site, see our visitors page.